The "Eastern Shore" is the eastern side of the Chesapeake Bay, and it includes parts of Maryland and Virginia. We include parts of Delaware here on this site too because it's all connected and part of what's known as the DelMarVa Peninisula. Probably the best known Eastern Shore destinations are the beaches of Ocean City, Maryland and Chincoteague Island, Virginia. The beaches are great! But there's so much more to explore on the Shore. The region is characterized by tiny historic towns, meandering creeks, beautiful natural areas, great seafood, and lots of opportunities for outdoor recreation. Visit the Eastern Shore of Virginia and Maryland for thoroughly charming good time. The Maryland Eastern Shore was once a drive-through area between Annapolis and Ocean City. Now small bayside towns like Chestertown, St Michaels, Cambridge, Easton, and Crisfield are destinations in their own right. A visit to Maryland's Eastern Shore might include exploring the friendly shops in our little towns, biking through wilderness parks, kayaking on a creek, and eating crab cakes at seafood restaurants. Maryland's Eastern Shore is connected to the rest of the state by the Bay Bridge, which crosses 4.5 miles of the Bay between Annapolis and Kent Island. If you don't want to cross the bridge, you'll need to drive up to the top ofthe Bay and back down through Delaware. The easiest and most enjoyable way to the Shore from New Jersey via the Lewes/Cape May Ferry. From luxury resorts to quaint bed-and-breakfasts, there are plenty of places for you to spend a week or a weekend on Maryland's Eastern Shore. The Eastern Shore of Virginia is even more of an undiscovered gem than the Maryland portion of the Shore, with few residents and hundreds of miles of shoreline on the Bay and Ocean. Chincoteague Island, Tangier Island, Onancock and Cape Charles are the tiny waterfront towns that attract the most visitors. You should see the seaside town of Wachapreague, and historic Accomac and Eastville too. There are few crowds on Virginia's Eastern Shore and the pace is relaxed. But don't be fooled by this area's quiet nature. There's plenty to keep a visitor busy, you just need to know where to look. The 17-mile Chesapeake Bay Bridge-Tunnel crosses the mouth of the Bay from Virginia Beach to the southern tip of the Eastern Shore of Virginia. Once you're here, it's easy to get around. Route 13 is the major north - south highway. But plan to get off the highway - the best of the region is definitely on the back roads. Maryland and Virginia's Eastern Shore occupy a peninsula of land that is bordered to the west by the Chesapeake Bay and to the east by the Atlantic Ocean. Folks visiting the Shore from Maryland tend to get here by way of Route 50, which crosses the Chesapeake Bay Bridge in the Annapolis/Kent Island area. If you're coming from Delaware, you'll probably travel down Route 13. 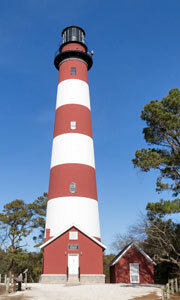 Visitors from New Jersey and points north can take the scenic route across the Delaware Bay on the Cape May/Lewes Ferry. 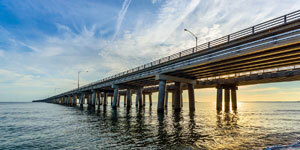 And if you're coming from Virginia and points south, the spectacular Chesapeake Bay Bridge Tunnel is th way to go. 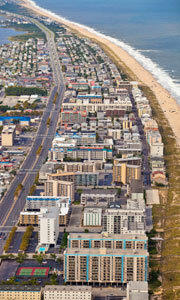 Where you stay when visiting the Shore depends primarily on your personal preferences. There was a time when bed & breakfasts were your only option in the more rural parts of the Shore, but these days there are chain hotels scattered throughout the area. Eastern Shore Hotels. The chains provide good, reliable accomodations, but don't overlook the comfort and charm of local bed & breakfasts, inns, and boutique hotels. These locally run operations are often your best bet if you want to truely experience the area's many small towns. Eastern Shore Bed & Breakfasts. Campgrounds are also a popular option for those visiting the Shore. You'll find several good choices, ranging from state parks to waterfront campground resorts. Eastern Shore Campgrounds. 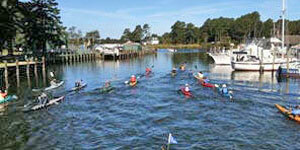 Eastern Shore residents love outdoor events and activities. From spring through fall, you'll find a variety of festivals and events that take advantage of the Shore's beautiful location and warm weather. 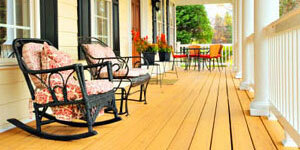 Check out our Eastern Shore Events calendar for information about local events you might enjoy. Outdoor fun's not the only form of entertainment on the Shore. Visitors will find lively entertainment scene throughout the regions. Many towns have theaters or restaurants that regularly host live music. We provide a special listing of concert events here.